Show love for your country, audience or corporate sponsor by adding one or more patriotic effects, tips or suggestions to your program. No one person could have invented so many effects. 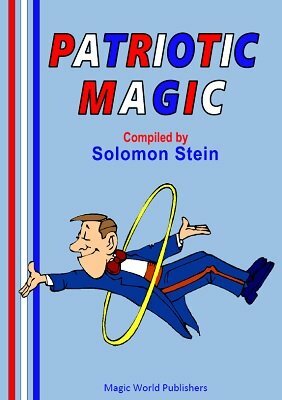 Solomon Stein, the author of Magic, Maestro, Please , reached out to the best minds in magic to bring you this fine collection of audience-pleasing magic. As B. W. McCarron notes in the introduction, audiences like to feel that they are involved in a performance. By showing your audience that you care, you are going the extra mile that will result in more and better paying shows for you. Patriotic effects make excellent photo opportunities to display in your press package and promotional mailings, too. A whopping 22 tricks, routines and ideas are described, including one of the nicest color-changing liquids effects that we've seen in any book, regardless of size. 1st edition 1942; PDF 35 pages.